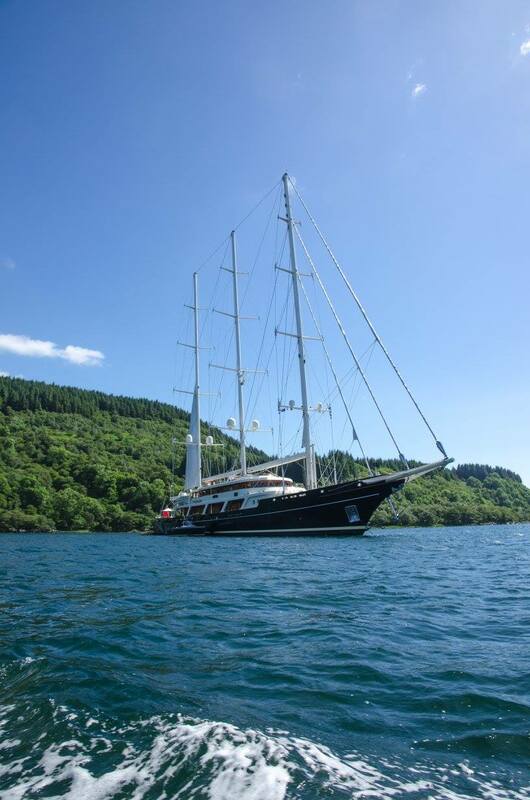 'Eos' at anchor in Loch Craignish. 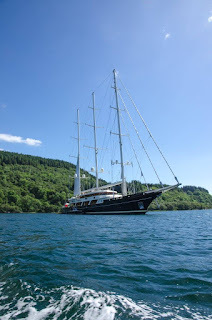 An unexpected visitor sailed to the head of Loch Craignish on Friday, the superyacht 'EOS' dropped anchor just off Ardfern and enjoyed a glorious summer afternoon. 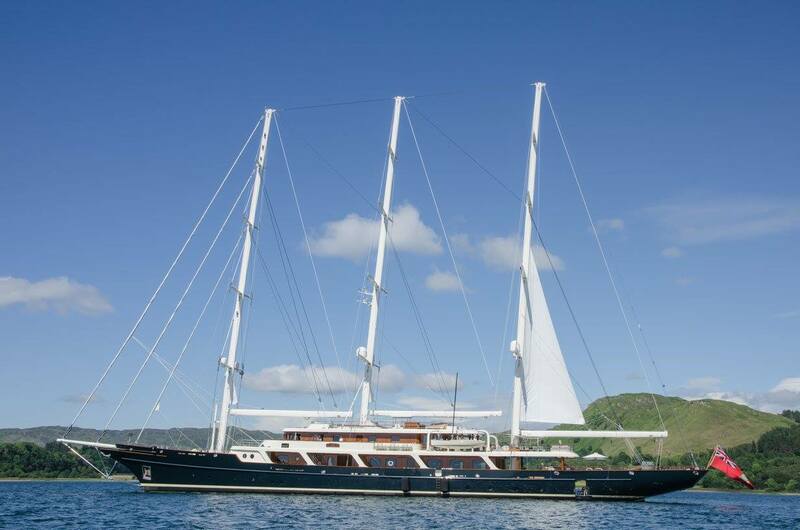 Built in 2006 and at 305 feet long 'EOS' is one of the largest sailing vessels in the world only beaten (although the subject of some debate!) by the mighty 'Maltese Falcon'. 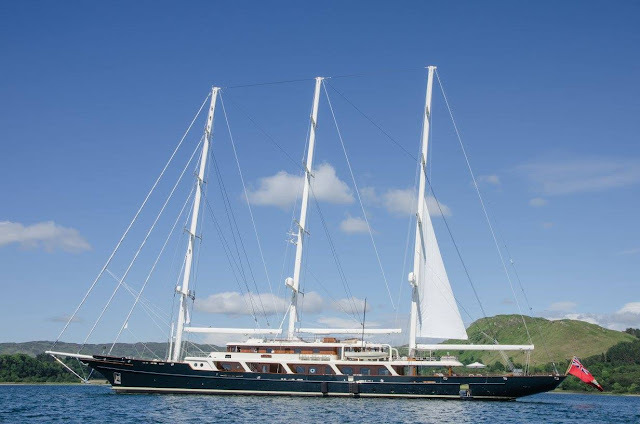 Sadly we didn't get invited aboard for a look around but shed looked stunning lying at anchor in the picturesque surroundings. Guest Complement - 16 maximum.